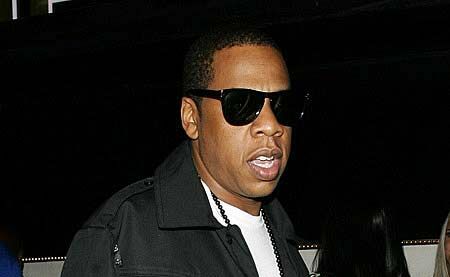 JAY-Z'S forthcoming album Magna Carta Holy Grail is set go platinum before its official release thanks to a deal with Samsung. One million copies of the album will be given away for free to Samsung Galaxy smartphone users 72 hours ahead of the record's official release on 4 July. Samsung has purchased 1 million digital copies of Magna Carta Holy Grail for $5 dollars each, instantly qualifying the record to go platinum. Only the first 1 million users will be able to download the album three days before its public release, but those who do have been promised an "unprecedented inside look into the album's personal stories and inspiration" according to the album's website. Jay-Z released a video of the making of his new album on YouTube yesterday, which shows him in the studio with Rick Rubin, Pharrell Williams and Timbaland. The video has attracted 5 million views in under 24 hours. In the clip Jay-Z also talks to camera about making music for a technology-savvy world. "The internet is like the wild west. The wild, wild west. We need to rewrite the rules. We don't have any rules, everybody is trying to figure it out," he said. He added that the album was about "this duality of how do you navigate your way through the whole thing, through successes and through failures, and remain yourself?"